Rectangular shaped plate, two colors, with name and year with two print impressions with border and corner stamps. $60 Like all the designs on this website, it can be done with your two or four legged baby! Pictured is a Rottweiler name Rocky. You choose block or curly script. 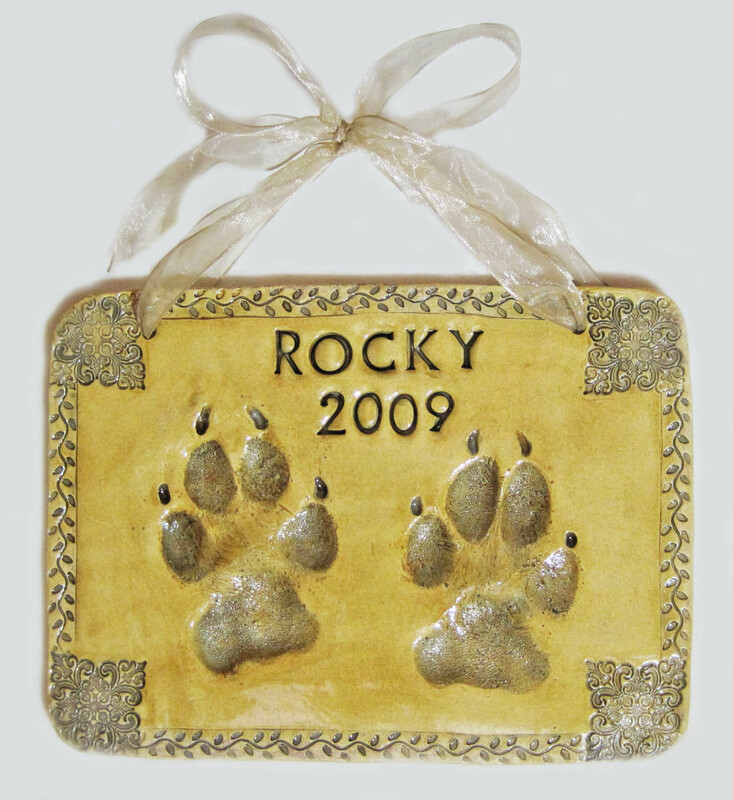 Name can either be hand painted, engraved or stamped. Includes ribbon for hanging, current age and birthdate engraved on back.